Check whether string can be generated from given grammar ? Write a code to check whether given string can be generated from given grammar ? Find the occurence of each number from array in O(n) ? Find the the occurrence of each number from given array of size n , where elements ranges from 0 to n-1 ? Here is the sample code for dereferencing void pointer. 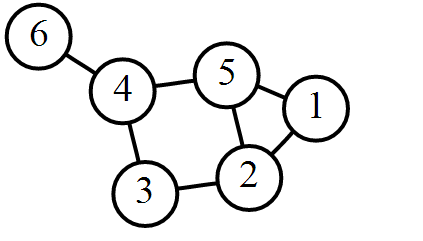 Graph consists of a set of nodes or vertices and edges or arcs. Edge joints two vertices, edge (v,u) is said to be go from v to u. Graph may also associate some weight to edges. A 2D matrix in which row presents source vertices and column represents destination vertices. If cell(I,j) ==1 it means there is a edge from i to j. If cell(I,j)==0 it means there is no edge from i to j.
Vertices are stored as list of array, and every vertex contains point to list of adjacent vertices. What is dangling pointer ? 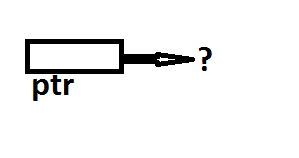 In programming dangling pointer is pointer which doesn’t point to valid object or memory. Dangling pointer arises when some memory is deallocated or deleted and pointing pointers value is not modified. So pointing pointer still points to the deleted memory address which is invalid. This pointer is known as dangling pointer. When some process tries to modify the address which is pointed by dangling pointer it causes segmentation fault in your program. 1. when global variable points the some variable in function or local block. After deallocation of memory, immediate initialize pointer to NULL. In this code Password accepts all character except ‘\n’ . Narcissistic Number is a number that is the sum of its own digits each raised to the power of the number of digits. C code for finding whether given number is Narcissistic Number or not. Infix notation : Infix notation is the common arithmetic and logical notation, in which operator is written between operand. Postfix notation: Operators are written after their operands.